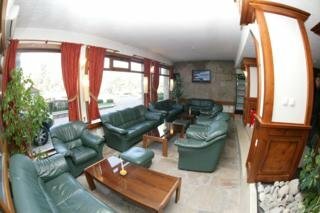 The Ski Hotel is Truly Wonderful With a Friendly Atmosphere and is Among the Best Known in the Resort. There Are 53 Rooms At the Hotel. Guests Are Welcomed in a Lobby With a 24-Hour Reception With a Currency Exchange Service and 24-Hour Check-Out Service. It Offers a Cloakroom, Safety Deposit Boxes and Lift Access To the Upper Floors. There is a Caf??? ?, Restaurant and Lobby Bar On the Premises. Moreover, There is a Kids' Club, a Nightclub, and a Storage Room For Skis/Board and Boots. Conference Facilities Are Available To Business Travellers and Guests Can Take Advantage of the Room and Laundry Services On Offer (Fees Apply To the Latter Two Services). Those Guests Who Are Arriving by Car May Park Their Vehicle in the Hotel'S Car Park. For an Additional Fee, Guests Can Hire Bicycles At the Hotel.